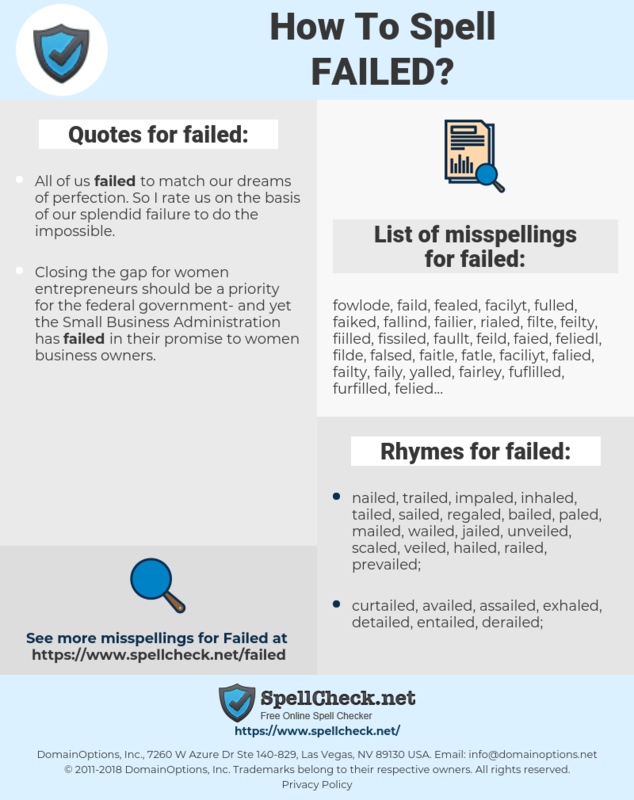 What are the misspellings for failed? What are the common mistypes for failed? 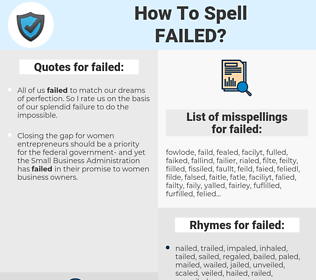 What are the quotes for failed? What are the rhymes for failed? What are the translations for failed? What are the common typos for failed? This graph shows how "failed" have occurred between 1800 and 2008 in a corpus of English books. American education has been littered with failed fads and foolish ideas for the past century. gescheitert, fehlgeschlagen, durchgefallen, versagt, nicht bestanden, erfolglos, misslungen, missglückt, nicht gelungen, verfehlt, verpatzt, verkracht. fracassado, defeituoso, falido, falhado, falhadas, frustrada, reprovado, avariado, malsucedido, rejeitados, infrutíferas, gorado, goradas. incapaz, fracasado, fallido, reprobado, eximido, malogrado.